There are certain places on the surface of the earth that possess more magic than others. And one of those places is Marrakech. Paul Bowles, American writer who lived in Morocco for fifty-two years. The fabled ‘pink city’ drew travellers to its ancient walls centuries before it became an exotic ‘must see’ for everyone from the rich and famous to those who carry all their worldly possessions in a bag on their back. 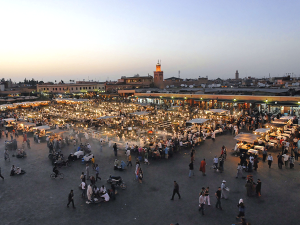 At some time during their stay they will inevitably pass through Jmaa el Fna, The Place of the Dead, the ancient heart of Marrakech, North Africa’s most vibrant and exotic square, where, for a thousand years, snake charmers, storytellers and acrobats have entertained the passing crowds. By day the bustle of henna artists, potion sellers, fresh orange juice vendors and red-robed water sellers; by night the curling smoke of a hundred barbeques spirals over the largest open-air restaurant in the world. Behind ‘La Place’, as everyone knows it locally, is Marrakech’s famous souq, the biggest in Morocco – and certainly one of the busiest in the whole of Africa. Ornate lamps, brilliantly coloured babuches (Moroccan leather slippers), rich luxurious carpets, sensual djellabas – an Aladdin’s cave of tiny alleyways and broom-cupboard-size shops. Adventuring further through the meandering streets, but still within the Medina, the ancient heart of the city embraced by the seven kilometres of rose-pink walls, life continues as it has for millennia, often hidden from tourists’ eyes. 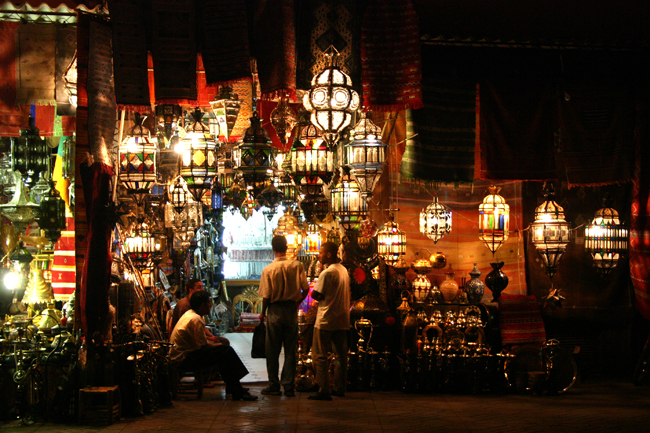 But not everyone comes to Marrakech just to shop – although it must be said that it’s difficult not to take something exotic home. The city and its surroundings offer everything you could want for a superb holiday; romance, adventure, the best of Moroccan and international gastronomy, trekking…if it’s on your ‘best thing’s to do’ list, it’s here. Marrakech is a very vibrant and exciting city to visit and here are a few ideas that will help you make the most of your time here. 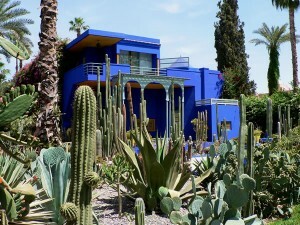 We can arrange for a professional guide to show you Marrakech past and present. 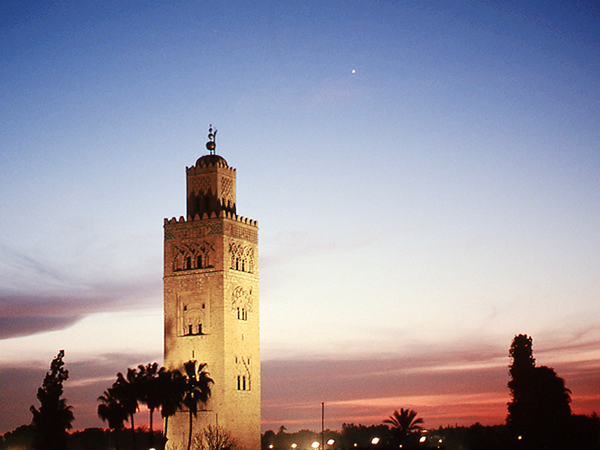 Visit the famous historical monuments and learn about Morocco’s rich and sometimes grisly past. Enter the medina from parts that you wouldn’t find by yourselves and finish with a tour of the souks and the amazing Djemma el-Fna square. The square should be seen in the evening when it comes alive to the beat of drums and music from the snake charmers. It has the most amazing food stalls selling everything from sheeps head to fish and chips (Moroccan style). 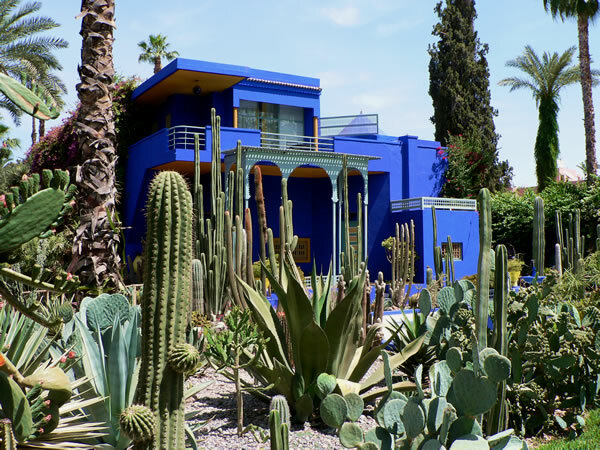 These include the Majorelle Gardens owned by the late Yves Saint Laurent, and the Menara Gardens, a vast olive grove with a huge water basin at the centre. Finish with a tour of the 12th century ramparts (city walls). 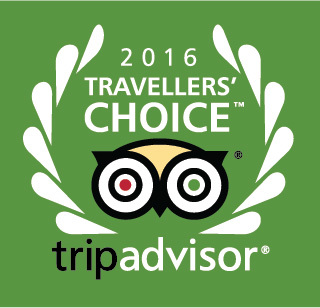 Alternatively, take a tour of the vast palm groves of Marrakech and perhaps stop off for a camel ride.